As I peeled apart the clear hard-plastic container, I got my first whiff. A small trickle of nearly forgotten memories started to slowly twirl around in the farthest reaches of my mind. The scent intensified as I pulled the crumpled leaves out of their packaging. I plopped them down on the cheap Ikea cutting board, and admired their greenness against the red. Then I peered out my kitchen window. There, on the railing of my deck, sat a squat brown pot with a shriveled branch defiantly standing up. I know I should have composted the lifeless plant back in the fall and tucked the planter away for the winter. Yet, somehow, I couldn’t bring myself to do that. In a strange way, I actually liked looking at the dead branch. It reminded that the seemingly endless gray Seattle winter would someday fade away. It gave me hope that our glorious summer would soon return. I turned back to my task. Grasping the knife tightly, I sliced the sharply honed steel across the store-bought herb. The cut leaves immediately released the most heavenly aroma. As I inhaled deeply, I was instantly catapulted to the middle of summer. I was outside playing fetch with my dogs as the pungent scent drifted from the deck to where we romped below on the lawn. I was dining outside with friends enjoying the sunshine, good conversation and laughter. Not only could I smell the light fragrance wafting over us, I delighted in the sweet peppery taste it added to our meal. I was sitting in a comfortable Adirondack chair, sipping wine and giggling with a friend all while breathing in that heady perfume. Smiling at the awakened memories, I scraped the chopped leaves into the waiting saucepan. I laughed at myself for having such uncharitable thoughts toward purchased produce. No, they weren’t the lush, hand harvested leaves that I had spoiled myself with all summer long. They may actually have been even better. At the end of a long winter’s grip, they brought the dreams of summer back to me. This entry was posted in Gardening, It's all about me! and tagged Basil, dreams, memories, Summer. Bookmark the permalink. Those smells and memories get all of us through very long winters. Very descriptive…Great movie playing in my brain as I read your words. 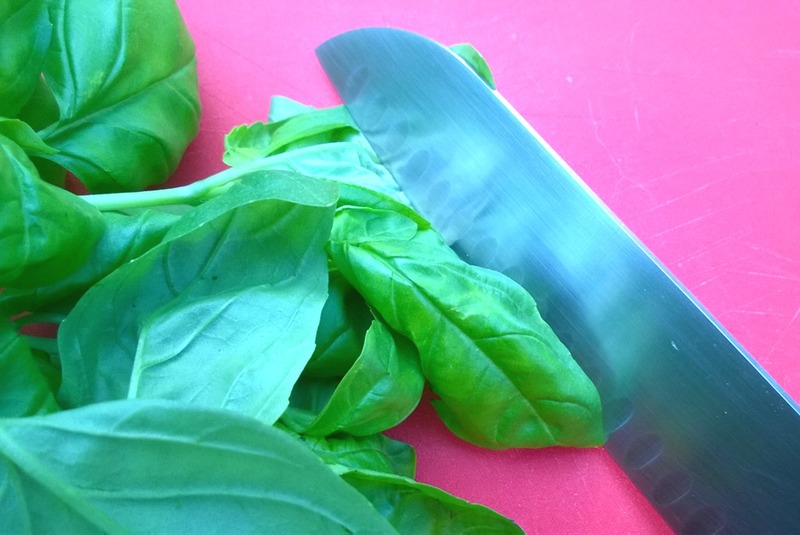 Cutting into the basil and releasing that ‘heavenly aroma’ is indeed a treat. A strong sensory connection surrounds food and memories and you have captured it here. I can relate to this. The store-bought herbs never compare to picking your own from the garden, but how fun they are! You’re so right–there’s just something about a smell to take you back to a memory, or even a season. Happy (almost) spring! !